Australia are back in a big way. Not only do they have a 4-2 win-loss record on this current limited-overs tour of India, but they were ever so close to making that 5-1 in the second ODI at Nagpur, where they lost in the final over. And they’ve done all this without arguably their three best limited-overs cricketers – the veteran trio of David Warner, Mitchell Starc and Steve Smith. Not even the most one-eyed Australia fan would have expected such a rousing effort on this tour from an unproven squad. When that same squad was named there were selection conundrums galore. The difference between then and now is that the selection conundrums have become positive ones. 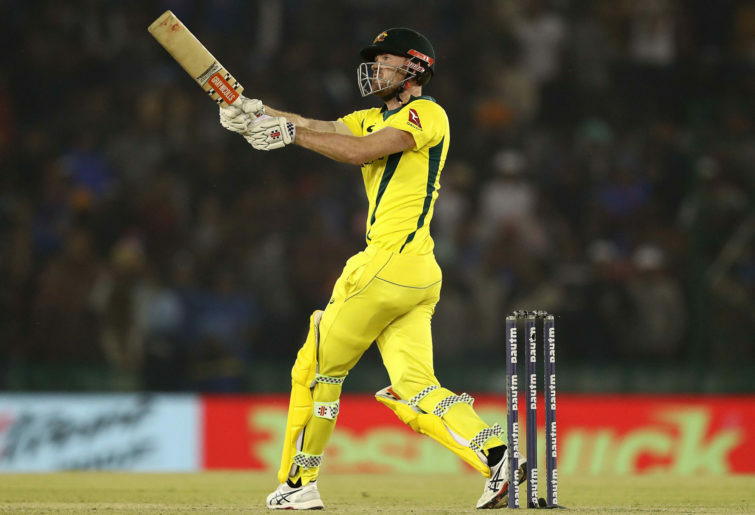 Australia suddenly have a wealth of ODI batting options, three strong choices for the all-rounder positions and three solid options in the wicketkeeper role. As Australia’s two most accomplished ODI batsmen, Warner and Smith have long been considered automatic inclusions in their World Cup XI. It was assumed by many, including myself, that Australia’s World Cup hopes would depend largely on the ability of that pair to return in great touch and carry the batting line-up. The debate was about how Australia could find four other reasonable batsmen to round out their top six. All of a sudden there are so many Australian batsmen and all-rounders strongly pressing their claims that the debate is about which in-form batsmen can be left out for the World Cup. Let’s consider the claims of each of these contenders. 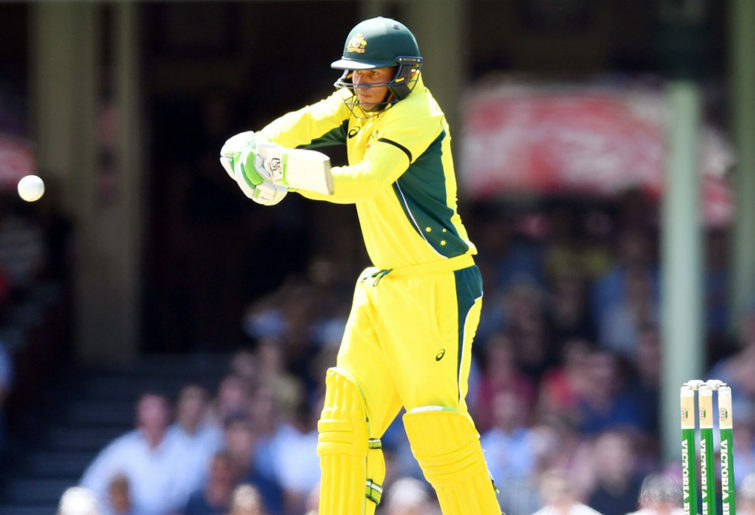 Usman Khawaja has piled up 397 runs at 57 since returning to the ODI side this year. Peter Handscomb came back into the team at the same time and has made 335 runs at 48, with a terrific strike rate of 98. What makes the hauls of those two players even more notable is that all of those runs have come against India, who have comfortably the world’s best ODI attack. Khawaja is showing that he can counter elite new-ball bowlers, prosper against world-class spinners and anchor an ODI innings in the way Australian skipper Aaron Finch used to do. Handscomb, meanwhile, is looking like the complete ODI batsman. That’s not to say he is a complete ODI batsman – he has much left to prove in this format – rather it is a reference to how well-rounded his batting style is. Handscomb is beginning to remind me of Australian ODI great Mike Hussey. Like Hussey, Handscomb has several gears to his batting, a hugely valuable attribute in one-day cricket. Firstly, Handscomb is comfortable coming to the crease and bunkering down when the team is in trouble. This is what he did in the fourth ODI yesterday, cautiously moving to 29 from 40 balls after Australia were teetering at 2-12. Secondly, Handscomb also looks at ease in the accumulator role, immediately striking at a run-a-ball, or close to it, by just nudging into gaps, running hard and allowing very few dot balls. Thirdly, Handscomb has the capacity to unleash. In the fourth ODI, after the careful start I mentioned above, he then blazed 88 from his final 65 balls. In short, Handscomb is the sort of versatile middle-order batsman who adds great balance to an ODI line-up. Then there’s veteran Shaun Marsh, who has been Australia’s best ODI batsman in the period that Smith and Warner have been absent. In that time the 35-year-old has churned out 669 runs at 51, with a good strike rate of 95, including four tons from just 13 matches. What’s more is that all of those runs have come against the world’s three best ODI teams: India, England and South Africa. Marsh offers stability and experience to the Australian top order. Then there are valuable all-rounders Glenn Maxwell and Marcus Stoinis. Maxwell has the second-highest career strike rate (120) of all time in ODIs, adding a fear factor to the Aussie line-up, and is also an elite fieldsman and a very useful spin option. Stoinis, meanwhile, has improved markedly as a bowler and has a fantastic batting record in ODIs, averaging 44 and striking at 95. He’s also consistent with the bat, having made handy-to-invaluable contributions in 14 of his 27 ODI innings, with scores of 146*, 87, 63, 62*, 60, 56, 52, 47*, 46, 44, 42, 37, 31* and 27*. Then there’s yesterday’s hero Ashton Turner. Granted, he is just two matches into his ODI career, but there are batsmen with 100 ODIs to their name who have never played an innings as spectacular as Turner’s matchwinning 83 from 43 balls. It highlighted rare ability. Very few batsmen in world cricket are capable of playing such a knock in India against their wonderful attack. It was an innings of such calm, such nous and such power that it left the Indian TV commentators bewildered. The same went for the Indian players themselves, who were patently shellshocked by this wrecking ball of a knock. What’s more is that Turner achieved a phenomenal strike rate without resorting to agricultural hoicks or trick shots. By and large he stroked in the so-called ‘V’ down the ground and played almost every ball on its merits. The talent on display was remarkable. The temperament he showed was equally amazing. Turner is a cool head – that much has been clear from his fantastic finishing efforts for the Perth Scorchers in the BBL. What wasn’t apparent until last night was whether he could translate this all to international level. First Turner dismantled easily the world’s best ODI spin combination in Kuldeep Yadav and Yuzvendra Chahal, displaying an uncommon ability to read their variations and then dispatch them. Then he was confronted by perhaps the best death bowling combination in the format in Jasprit Bumrah and Bhuvneshwar Kumar. Showing no fear, Turner blasted this pair to take Australia home. It will be fascinating to see how Turner kicks off from here. Was this merely a freakish moment of brilliance which he will struggle to come even close to replicating? Or did we just witness the birth of a future international star? Fortunately Turner has up to six ODIs over the next month to make things clearer. Finally, a shout out to wicketkeeper Alex Carey, who I have doubted since early in his ODI career. Although I still think Australia would be best served with Handscomb as their ODI keeper, perhaps allowing room for an extra dynamic batsman like Turner, Carey is quietly doing a very solid job. With a top score of 47 after 13 ODIs, he is yet to produce the kind of eye-catching knock which will win over critics. But what Carey has done is keep well and constantly chip in with handy knocks, making 346 runs at 31 so far in his career. Underscoring his consistency is the fact he’s passed 20 in no less than ten of his 13 innings. Carey is also showing signs he’s adapting to his unfamiliar role of batting low in the order, having been an opening batsman at domestic level. From his seven innings batting between six and eight in the order, Carey has made 175 runs at 35, with an impressive strike rate of 107. I’ve been too tough on him, as have many other observers. Carey is building some nice form in ODIs. The same finally goes for the Australian team.